In a Q&A on her Instagram Stories, Rhimes was asked about Ramirez potentially reprising her role as Callie Torres. “Let me tell you something — we tried,” Rhimes answered. “CBS has a hold of her. Because she’s on (Madam Secretary) And we can’t get her. But we love her. Always. This is her home. 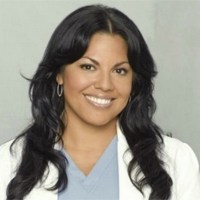 Come home Callie.” According to TVLine, Grey's Anatomy tried to book Ramirez for the Season 14 finale, to say goodbye to Jessica Capshaw's Arizona.